CORPUS CHRISTI - Collegiate standouts Levi Zents and Roxy Chapa of Texas A&M-Kingsville and Texas A&M-Corpus Christi's Harrison DiNicola and Ashley Smith will be recognized at the 15th annual South Texas Winter Baseball Banquet, set for January 24 at the Omni Corpus Christi Hotel. 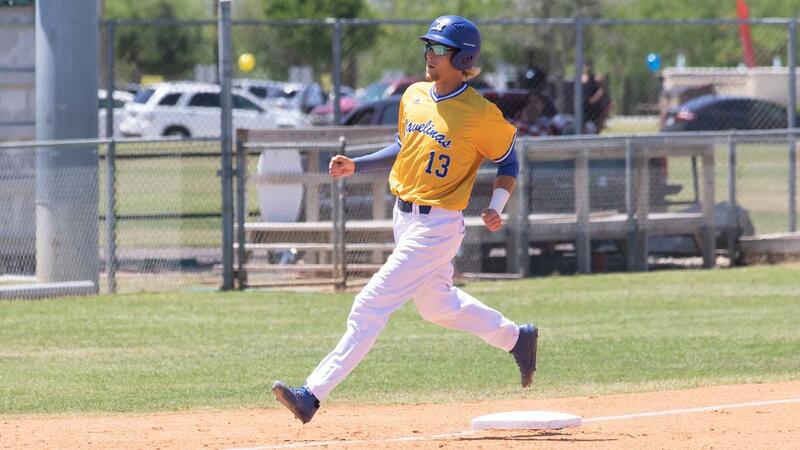 Last season, Zents helped lead the Javelina baseball program to the school's first Division II College World Series berth. The senior third baseman batted .354 with 52 runs scored, 13 extra-base hits, and 44 RBIs in 56 games. Zents worked 48 free passes against 25 strikeouts for a .494 on-base average. A first-team All-Lone Star Conference selection, the Fort Worth native garnered first-team all-region awards from the American Baseball Coaches Association, Division II Conference Commissioners Association, and the National Collegiate Baseball Writers Association. Zents was also a member of the LSC All-Defensive Team, committing just eight errors in 121 chances for a .934 fielding percentage. Chapa picked up All-LSC Softball second-team honors in 2018. The McAllen native batted .333 and established a new program record for home runs in a season, belting 13 round-trippers. Chapa's homer total also tied for ninth in the conference. The junior catcher started all 55 games for the Javelinas, pacing the club with a .634 slugging percentage and 43 RBIs, while tying for the team lead with 15 doubles. Chapa currently holds the school record for career home runs (31) and RBIs (137). She ranks second on the program's all-time list with 71 extra-base hits and slots third in TAMUK history in doubles (39), total bases (310), and slugging percentage (.603). DiNicola, selected by the Miami Marlins in the 27th round of the 2018 Major League Baseball First-Year Player Draft, led the Islanders in home runs (8), extra-base hits (27), and slugging percentage (.527) as a junior last season. His 16 doubles were tied for sixth in the Southland Conference. DiNicola, who hails from Kemah, started all 56 contests for TAMUCC and was a second team All-SLC first baseman. He posted a .983 fielding percentage and helped turn 35 double plays. DiNicola earned a 3.17 GPA in business, leading to All-SLC Baseball Academic Team recognition. Smith, a junior pitcher out of Haughton, Louisiana, led TAMUCC Softball in starts and complete games, finishing 10 of her 28 opening assignments in 2018. Smith's 155.2 innings pitched also topped the club. In her first campaign on the Island, Smith permitted just nine home runs and a .313 batting average against. She held the opposition to one run or none 10 times, including a complete-game shutout at Incarnate Word in the season finale. Tickets to the 15th annual South Texas Winter Baseball Banquet are on sale now at the Whataburger Field Box Office. Order by phone at 361-561-HOOK (4665).